If QODBC attempts an operation where the QuickBooks logged in user doesn't have the correct permissions, you will receive the status code 3260 - Insufficient permission level to perform this action in the SDK Messages log. First, to check what permission the user has, open the company file and login as the Admin user and switch the company file to Single-User mode. From the User and Roles List -> User List Tab, select the user you want and check the existed permissions for a user by clicking View Permissions button. 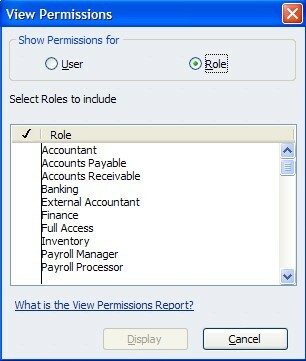 In the View Permission list, select option Role, you will see all the permissions for the specified user. 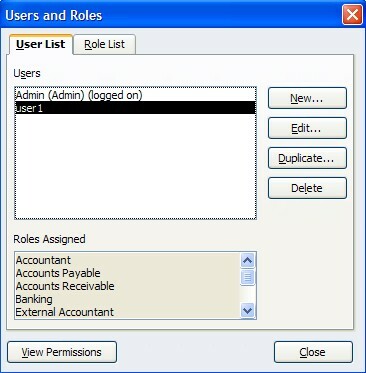 From the User and Roles List -> User List Tab, select the user you want to setup permission with and click Edit... button. 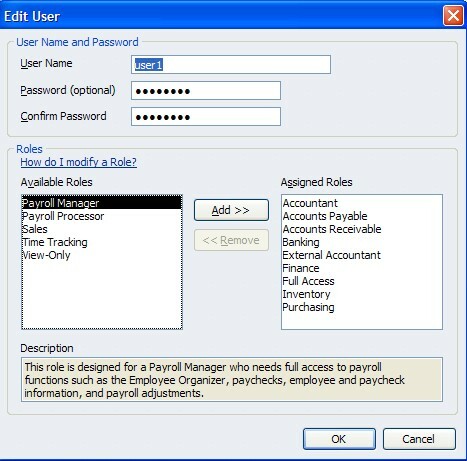 Add roles you want to set up for the specified user account by clicking on button Add>> and then press OK.